The event that I chose is the Palio di Siena. It’s a race between horses which takes place in Siena. It’s a race between the 17 districts with different colors. The winner of the race will win an award called “rag” or a banner symbolizing victory. The day before the race in each district there is a dinner, where people sing for their colors and have fun. It is a well-known event throughout Italy and much loved. 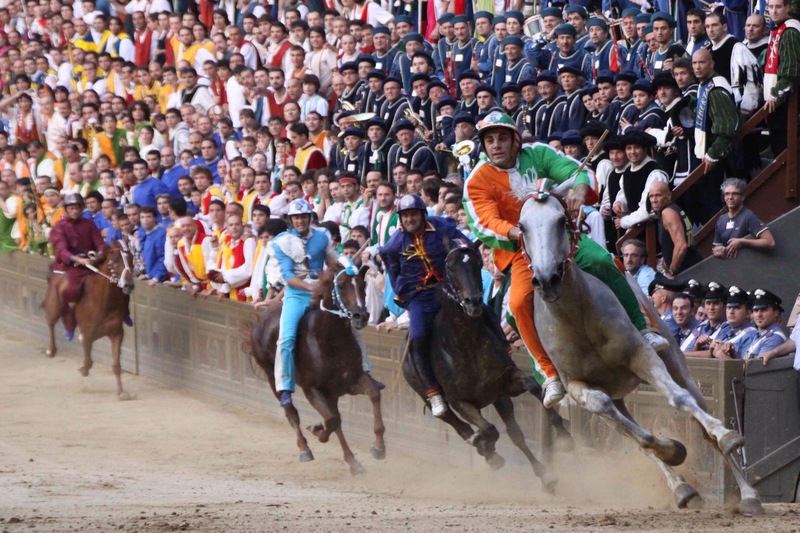 In fact, many people each year go to Siena to see the Palio and it is also broadcast on television. It has a very old tradition that dates back to the Middle Ages. I really like it, I have never been to see the Palio in Siena but I’ve always seen it on TV. Actually, I like to see every type of horse racing!